What if we were to consider the vast quantities of domestic, agricultural and industrial wastewater discharged into the environment everyday as a valuable resource rather than costly problem? 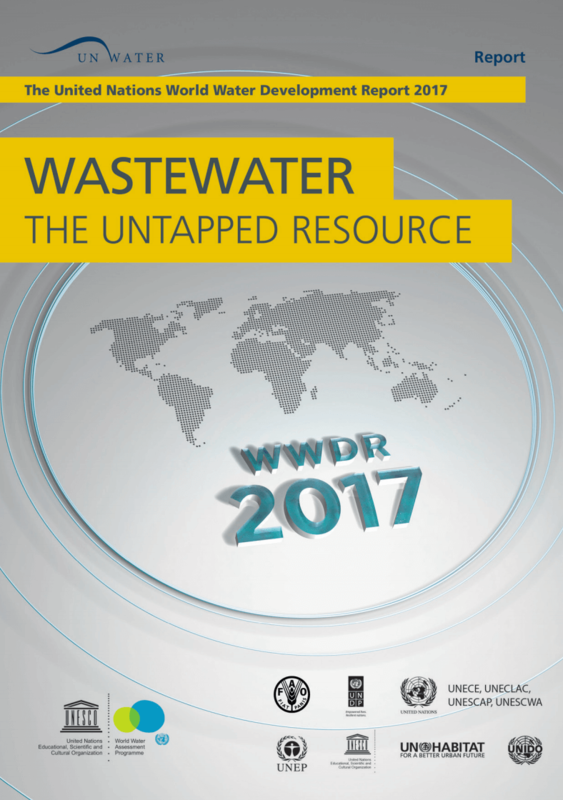 This is the paradigm shift advocated in the United Nations World Water Development Report, Wastewater: the Untapped Resource, launched 22 March 2017 on on the occasion of World Water Day. A large proportion of wastewater is still released into the environment without being either collected or treated. This is particularly true in low-income countries, which on average only treat 8 % of domestic and industrial wastewater, compared to 70% in high-income countries. As a result, in many regions of the world, water contaminated by bacteria, nitrates, phosphates and solvents is discharged into rivers and lakes ending up in the oceans, with negative consequences for the environment and public health. The volume of wastewater to be treated will rise considerably in the near future especially in cities in developing countries with rapidly growing populations. “Wastewater generation is one of the biggest challenges associated with the growth of informal settlements (slums) in the developing world.